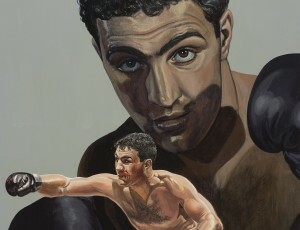 Original acrylic, 3′ wide x 5′ high of Rocky Marciano, the only undefeated heavyweight boxing champion. Copyright © 2019 whitney studios . All Rights Reserved.